Thank you for your support, we did it! I am truly humbled and honored that the voters of District 37 have placed their trust and confidence in me to represent them in the Statehouse. When Mike Rasor called me to concede, we spoke about how we can work together to do better for our district. Mike is first and foremost a loving father and husband, but also an incredibly intelligent, hard worker who cares deeply about our community. He ran one of the strongest campaigns in the state. I'd like to think we brought out the best in one another. As your next State Representative, I am committed to working toward restoring investment in our communities, fighting for exceptional public education, and delivering 21st century job opportunities for the 37th. While I ran as a Democrat, I could never have been elected in this historically Republican district without bipartisan support—which is why I pledge to serve every member of District 37 to the best of my ability, no matter their political party. I will work tirelessly to be your voice in Columbus ... I'll see you out there! Casey’s family is his rock and foundation. He wants to raise his daughters to reach their maximum potential, and to give them every opportunity to achieve their dreams. He will be a fighter for his family and yours at the Statehouse. In Casey’s family, public service is a way of life. His grandfather, father, brother, brother-in-law, and wife Amanda all served or are serving in the armed forces. He has always strived to actively engage in his community. In Dayton, he was recognized as a ‘Top 40 Under 40’ Community Leader. In 2015 he was elected to serve on Hudson City Council, where he works every day to make a positive impact for his constituents. He will be relentless in his efforts to fight for you. With over a decade of experience as a leader and top performer in the information technology industry, Casey’s business acumen and perspective is exactly what Ohio needs to attract good-paying 21st century jobs to our communities. Casey recognizes that the only way to make real change is through collaboration. He has a bipartisan record of achievement on Hudson City Council, where he has focused on economic development, broadband expansion and partnering with private groups to enhance city parks. From interning with Republican Congresswoman Heather Wilson in high school to serving on U.S. Senator Sherrod Brown’s Service Academy Nomination board, Casey knows the value of building bridges between parties, and of listening to the perspectives of all of the voters he represents to get the mission done. The U.S. Air Force brought Casey and Amanda to Ohio, and it was an easy choice for them to stay and make a life here. Maybe it was all those games rooting on the Buckeyes from the student section of Ohio Stadium? The Weinsteins love our great state, and want to spend their lives contributing to a bright future for all Ohioans. 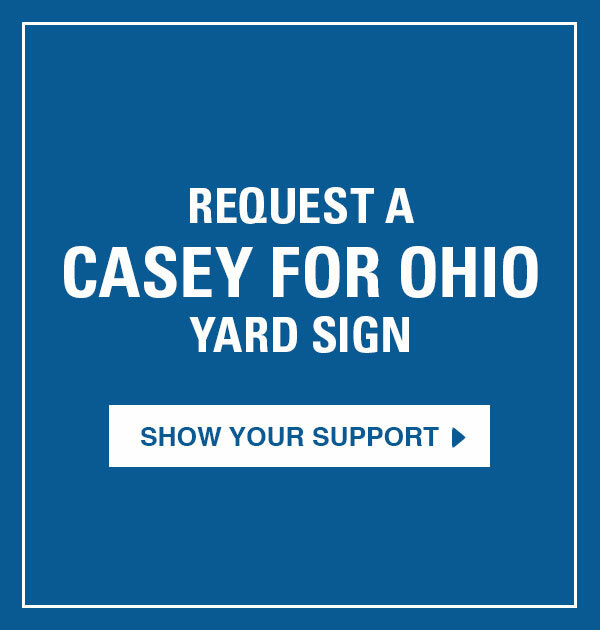 CASEY IS RUNNING FOR THE OHIO HOUSE TO BRING NEW LEADERSHIP TO COLUMBUS. Am I in the 37th District? Ohio's 37th district, located in Summit County, includes Stow, Hudson, Munroe Falls, Silver Lake, Twinsburg, Macedonia, Reminderville, Northfield and the northern part of Cuyahoga Falls. 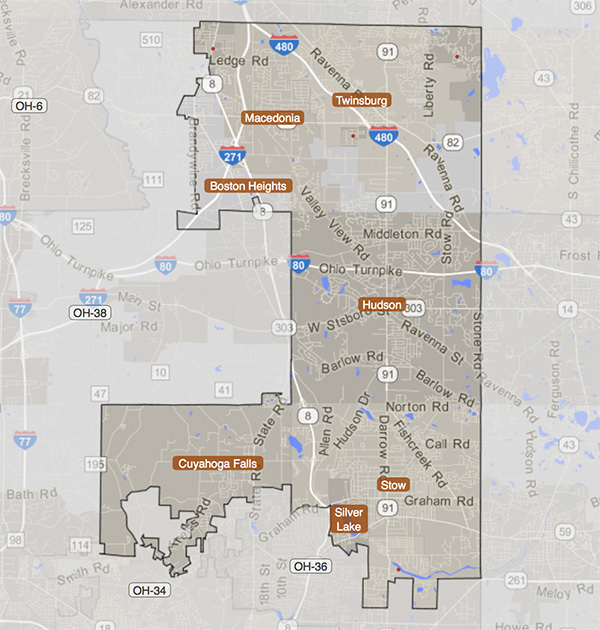 To check your voter registration, which lists the district you live in as well as your precinct, click here.